We cordially invite you to REGISTER today for The Hawaiian Islands training, trade show and supplier roundtable sessions coming to a city near you the week of March 11 - March 15, 2019 in San Diego, CA; Long Beach, CA; Walnut Creek, CA; Portland, OR; and Bellevue,WA. Sign up for one of two training workshops: the Hawaii Destination Specialist (HDS) certification or Island Updates with our Island Chapter bureau representatives. Take this opportunity to meet and network with Hawaii suppliers during our Hawaii trade show and roundtable sessions. This is an opportunity to discover new 2019 travel agent incentives, and find new ways to increase your commissions for booking travel to the Hawaiian Islands. Register today; seating is limited. Mahalo! HTUSA and our Hawaii representatives are excited to have joining us respected kumu hula (hula teacher) Leinaala Jardin as our special general session speaker during these Hawaii training events. 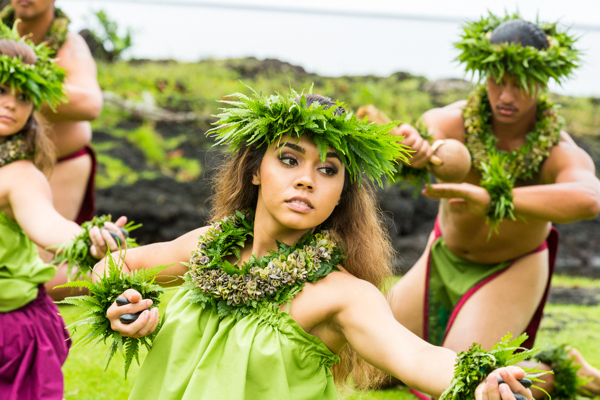 Born and raised on the island of Kauai, kumu hula Leinaala has a deep, cultural understanding of the hula and its significance to the people of Hawaii and its memorable impact on visitors to the islands. She participates in the world's most prestigious hula competition - the Merrie Monarch Festival - annually. In 2018, her wahine (women) of Ka Lei Mokihana O Leinaala impressively placed in the top three in Wahine Auwna, Wahine Kahiko, Wahine Overall and Overall Winners. Before meeting kumu hula Leinaala in person at one of our upcoming Hawaii events in a city near you, watch her here in this Hawaii-rooted video. Kumu hulu Leinaala Jardin from Ka Lei Mokihana O Leinaala. © 2019 Hawaii Visitors & Convention Bureau. All rights reserved.